Most teachers have no idea why they do what they do. The best teachers you’ll ever meet are the ones that take the time to analyse their actions and decisions in TEFL teaching. They consider how each action affects their students and colleagues. They act deliberately rather than randomly. Every action has been thought about (often many times, for each class, or even each student). I love the autonomy that TEFL teachers have to manage their own time. However, that freedom comes with a price. The price of freedom is taking responsibility for your own actions, and making a huge number of decisions to support those actions. If you don’t consciously make those decisions, then lots of unconscious habits build up. Look at the decisions below. There are no right answers; each teacher will need to decide for themselves what the right balance is. A lot of these are on a continuum, a sliding scale, they’re not black and white. 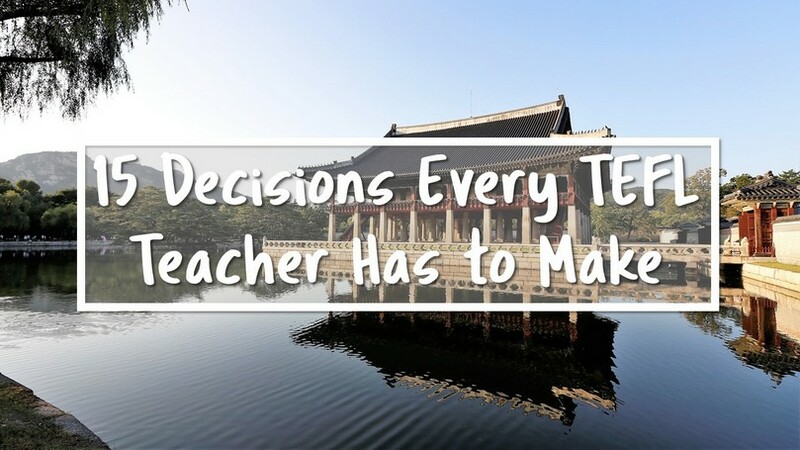 Your decisions will depend on you, your students, your classroom dynamics, your teaching assistant, your curriculum, your school policies, and your own personal preferences. Having a deliberate reason for doing what you do is a great start. What questions have you asked yourself? What questions should you?